Jack Kaufman is a Denver attorney who believes in helping his clients through difficult times. Jack wanted to increase his business, but working in a small practice he couldn’t afford to hire someone. Instead he decided to work with StoryCatchers Media to create a professional marketing video to get more clients. 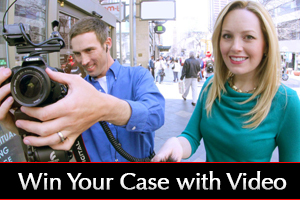 See how he’s increased his business with a video. Just a few days after StoryCatchers Media helped to launch his marketing video, he started seeing his business grow. Jack sent us this note to share his exciting news. Stephanie Mola, a personal trainer and owner of “Within Reach Fitness” boosted her business because of the video produced by StoryCatchers Media. Check out what she has to say about marketing with video. Let StoryCatchers Media put your non-profit in the spotlight. Just days after posting their video, the Denver Fisher House raised thousands of dollars. Sean Martin with Donek Snowboards is building his business because of the videos created by StoryCatchers Media. In the past, Sean tried doing his own videos, but soon learned that he could get better results using the professional team at StoryCatchers Media. See how our team helped him with his marketing and increased his sales growth.